It must be doing something right; DHL has been named as Great Place to Work’s “Top Company to Work For in the UAE” for the fourth year in a row. 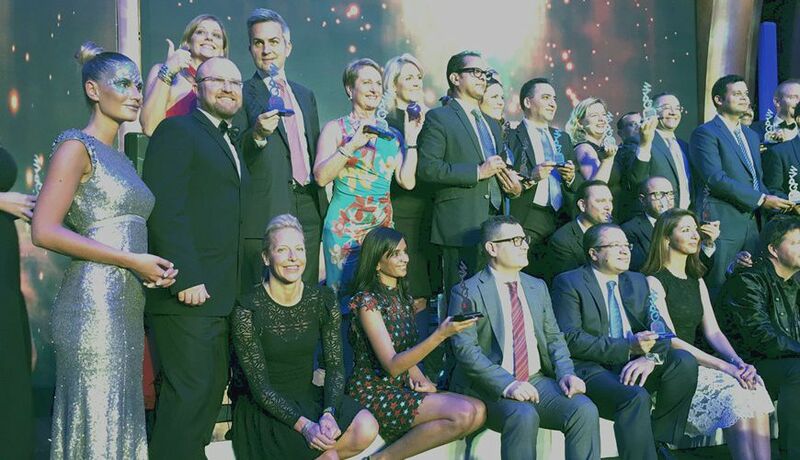 The coveted prize was presented at a glitzy bash at Dubai’s new W Hotel this week, with the logistics stalwart beating out 23 regional offices and local businesses. The awards ceremony also named Elie Khouri, the CEO of Omnicom Media Group (OMG) MENA, as “Leader of the Year”, also recognising that the firm has been on the list for the past seven years. OMG also happened to be the runner up at the awards, advancing one spot from last year, followed by Splash, also moving up one spot to take third place. In fourth place was THE One, a position it has held since the list was launched, while Weber Shandwick came in fifth. According to an official statement from Great Place to Work, DHL is setting the standard today when it comes to providing the best employment experience and workplace culture. The logistics company has created a competitive advantage with close monitoring of the application of its practices and policies, leaving no room for deviation or bias. DHL’s proactive approach is ensuring that it is caring for its employees “like no other company on the list”. The company’s mantra? “Everybody, Every day, Everywhere… A little bit better”. “Despite a challenging financial year, most companies that have been on the list previously maintained their position as great workplaces,” explained Maha Zaatari, Managing Director of Great Place to Work in the UAE. “This is an impressive accomplishment considering the high level of participation we had this year and the number of new companies entering the list. It’s great to see these organisations put into practice the lessons they have learnt from going through the Top Companies process. We’re definitely seeing a marked improvement in the standard of HR practices,” she added. Great Place to Work® is a global research, training and consultancy firm that seeks to identify the best workplaces in over 50 countries around the world. This week’s 2016-17 edition is the seventh annual compilation of ‘Top Companies to Work For’ in the UAE and is the largest to date, culminating in a list of the nation’s top 24 companies with “outstanding workplace cultures”.